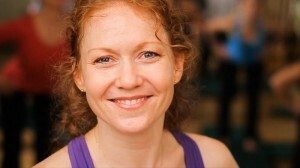 After training directly with the systems creator, Juliu Horvath, Mia Munroe has trained both teachers and students in the Gyrokinesis and Gyrotonic methodology for over 15 years, establishing fitness communities in Canada, Scotland, Israel, and across the U.S. She utilized the strengthening exercises and self-care practices of both methods during her 10-year professional career as a classical ballet dancer before becoming a Gyrokinesis Master Trainer. A native of Michigan, she has specialized in training a wide range of athletes including golf students and professionals within PGM program at Ferris State University. She draws upon her recent education within the Psychology Department at the University of Washington to deepen the effects of the Gyrokinesis methodology allowing her students to regain their own innate power to understand and manage the systems of the body.